I want S'more!! Five layers of summer goodness. 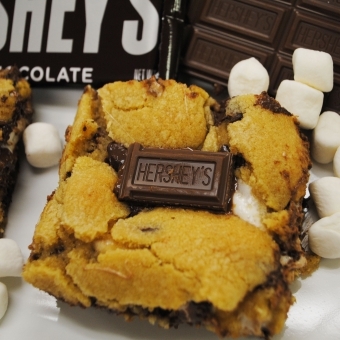 Graham crackers, chocolate chip cookie dough, marshmallows, and Hershey's chocolate inside...and on top! Each bar is full of ouey gooey deliciousness. Pop them in your microwave or wrap them in foil for the grill or campfire and enjoy!! Size: -- SELECT -- S'mores Bar 6 ct.S'mores Bar 9 ct.S'mores Bar 12 ct.